From the 30th of March to the 1st of April, the fifth seminar of the training course “Human Rights Standards in the Practice of Lawyers and Judges” was held. The seminar was attended by 26 lawyers and judges from all over Ukraine that are participating in the training course implemented by the Ukrainian Helsinki Human Rights Union. The seminar’s goal was to familiarize the participants with the practical application of knowledge gained during distance learning on the subject of the right to peaceful enjoyment of one’s possessions (Article 1 of the Protocol to ECHR). During the seminar, various aspects of the right to peaceful enjoyment of one’s possessions were discussed and certain human rights standards were presented, with a separate session dedicated to international humanitarian law and its practical application in the situations in eastern Ukraine and Crimea, as well as to litigations conducted by the state in the European Court of Human Rights. In addition, the final assignment and its results were discussed. Aside from that, the problems that the participants encounter during the course were outlined, and new things were learned through discussions and practical assignments. Special attention was accorded to cases concerning the conflict zone and the occupied territories of Ukraine. In addition, feedback was given by experts on assignments competed via the online module, with additional work done on common oversights. 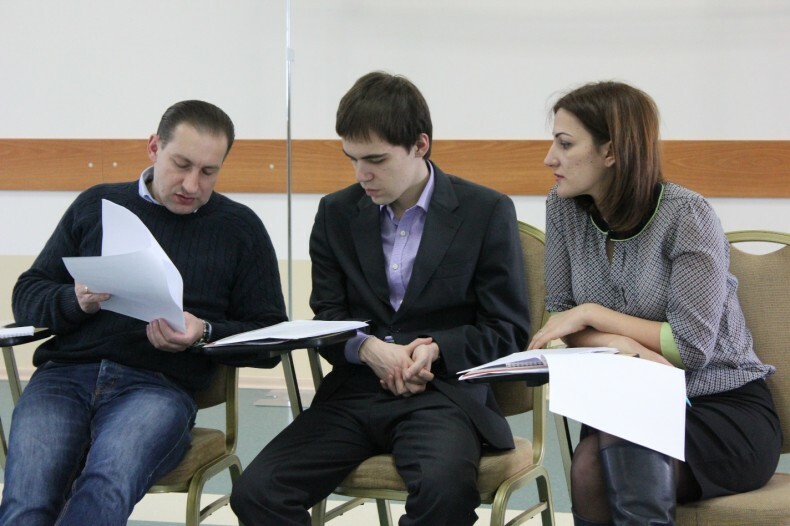 The seminar is part of the training course “Human Rights Standards in the Practice of Lawyers and Judges” implemented by the Ukrainian Helsinki Human Rights Union. Its main goal is to promote the observance and protection of human rights and freedoms in Ukraine and the adoption of international human rights standards in the domestic legal system through strengthening the professional capacity of practicing litigators. This event was made possible thanks to the Human Rights in Action program implemented by the Ukrainian Helsinki Human Rights Union due to the generous support of the American people through the United States Agency for International Development (USAID). The American people, through USAID, has been providing economic and humanitarian assistance worldwide for over 55 years. In Ukraine, USAID’s assistance focuses on such areas as economic growth, democracy and governance, health and social sector. Since 1992, USAID has provided Ukraine with technical and humanitarian assistance worth 1.8 bln. For additional information about USAID programs in Ukraine, please visit USAID’s official website http://ukraine.usaid.gov and Facebook page https://www.facebook.com/USAIDUkraine.